Let's get this up front - I'm a little biased towards Tash Shan. It’s not just that we have the same first name - she’s also Malaysian born, she’s also in love with food, and she’s also made Canberra her home after her Australian partner found a public service job here. We just have too many similarities. 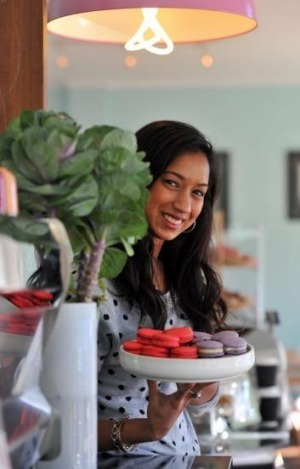 When she arrives at Dream Cuisine patisserie in Fyshwick for a photoshoot and interview, Shan heads over to inspect the glass cabinet filled with pastries, wraps and the macarons for which Marilyn and Owen Chalkley have become famous. She peppers the staff - and Marilyn - with questions. I begin to wonder slightly uneasily if this is what my partner sees every time we go into a new cafe. But let’s not forget - Tash Shan is a brilliant cook and her flair with food has made her one of the stars of the latest season of MasterChef. 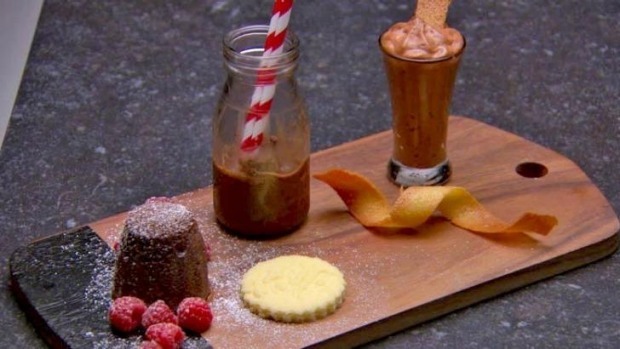 On her first audition she produced a luscious-looking tray of desserts: a fondant filled with melting chocolate, a crisp shortbread biscuit, a dark chocolate granita in a milk bottle and a creamy mousse flavoured with cointreau. It got the celebrity judges so excited they didn’t even stop eating when they gave her a spot in the final 24. That audition very nearly didn’t happen. 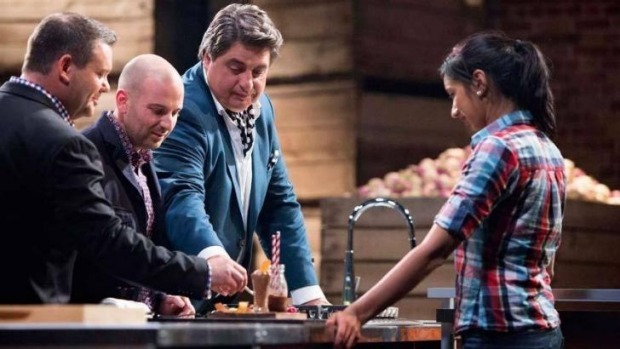 Shan had loved MasterChef since the first series, and particularly loved the fact that contestants were drawn from all walks of life and ethnic groups. She wanted to be part of it and repeatedly applied to become a contestant with no luck (admittedly, she hadn’t yet gained Australian citizenship at that point and was ineligible). The 28-year-old was so disillusioned that when she finally did get the call inviting her to audition, Shan didn’t want to spend the money on what she thought would be a fruitless trip to Melbourne for the show. Her partner, Nick Burnett, had to talk her into it. She can't reveal what happens on the show but there are little tidbits about the judges. Matt's so much taller in real life than he looks on TV. She nearly poked George and asked him "Are you real?" when she first met him. And the judges seem to genuinely care about the contestants and want to mentor them. Shan was raised in Kuala Lumpur and didn’t have a lot of money growing up but gained a typical Malaysian obsession with food, particularly street food. “We came from quite a poor family, we lived in basically commission housing in KL,” she says. Her parents were determined that their children should have better lives and when the time came for Shan to choose a career, she aimed for Le Cordon Bleu in Paris. But her father said no because he wanted her to have a financially secure job. “As much as it was very ‘Oh, Asian parents want you to be a doctor or a lawyer,’ it was also I know that they wanted security for me,” she says. So Shan went to university in Melbourne to study law, “which sadly for me I quite hated because I’m more creative than academic”. When Nick was offered a job in the public service two years ago the couple moved to Canberra. Shan worked as a part-time social media manager for the non-profit animal group PetRescue. She started her food blog, A Kitchen Cat, to document her adventures in cooking and baking, with lush photographs of cakes and her thoughts on local restaurants. She worked for a time at Jamie's Italian in Civic. The community has rallied round her, tweeting messages of support during the show using the hashtag #teamtash and taking Shan to heart. That first episode was hard to watch, she reckons, so awkward to see yourself on TV ("Is that really what I sound like?") but her friends are talking about making T-shirts with #teamtash on them, and no one's recognised her from the telly yet. Whatever happens on MasterChef, Shan says, she wants to keep cooking. A little cafe serving good coffee with "brunch food that’s not pretentious but just a little more sophisticated, just a little twist on the classics". And there's the love of street food, which obsesses her even more than going to a top restaurant. So in theory she would like to run a cafe "[that's] going to have good coffee with breakfast and brunch and a patisserie section and then in the evenings it will have a street bar with street food and snacks," she says with a laugh. Then she heads into the Dream Cuisine kitchen to see how they make their macarons. Preheat oven to 180 C and grease 4 x 150ml ramekins. To make the chocolate fondant, place the chocolate and butter in a heatproof bowl on top of a saucepan of barely simmering water and allow to melt. Remove the chocolate/butter mixture from the heat, add the flour and sugar and stir to combine. Add the eggs, one at a time, mixing thoroughly. Divide mixture between the ramekins and place in the oven to bake until the outside is set but the inside is still runny, about 10-12 minutes. 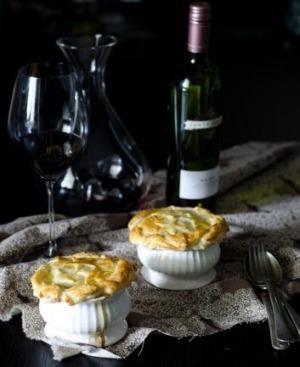 If you feel like it, place diced beef into a non-reactive bowl and cover with red wine. Seal with glad wrap and leave for up to two days. If you can't be bothered, that's OK too. When you are ready to cook your filling, place beef, red wine, onions and beef stock into your pressure cooker (making sure it comes up to the minimum fill line) and seal. Cook for 40 minutes, then allow to cool. Using the back of a spoon, break up the pieces of beef into shreds and simmer over a medium heat until the sauce is reduced by a third. If you want, you can now freeze this filling for later use. Fill a small saucepan with water and a tablespoon of sugar and bring to the boil. When boiling, add carrots and cook until just cooked through (there should be some resistance) - about 3 minutes if finely sliced. Don't overcook them as they lose their sweetness, it's all right if they're slightly undercooked as they'll be going back into the oven. Drain the carrots. Divide beef filling between four bowls and top with the sliced carrots. Puff pastry works better when it's cold, so make sure not to thaw it out too much or you'll get soggy, flat pastry. Cover each pie with puff pastry, brush with egg glaze and bake at 200C until the puff pastry is golden brown.